but it just does not happen. But have you seen all their DIY Party products? 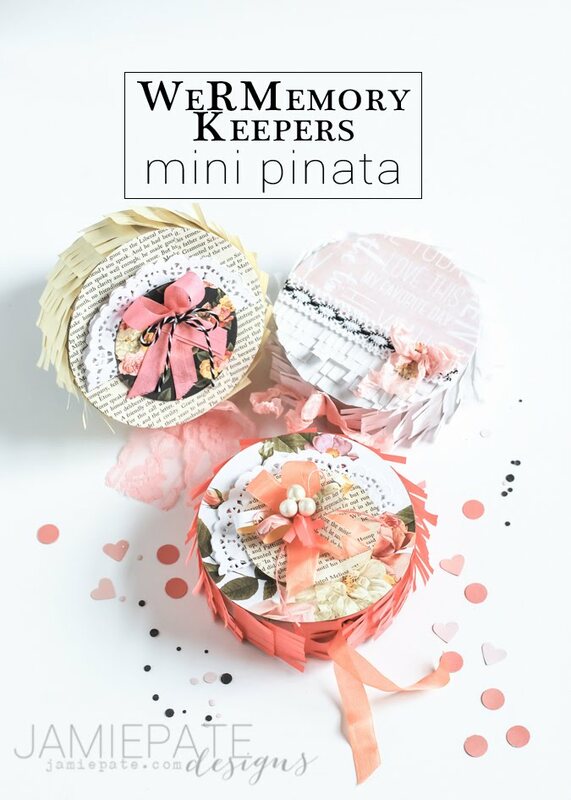 The Heidi Swapp Media Team had a chance to play with the BRAND new Mini Piñata. These come in packages of three and in various shapes. 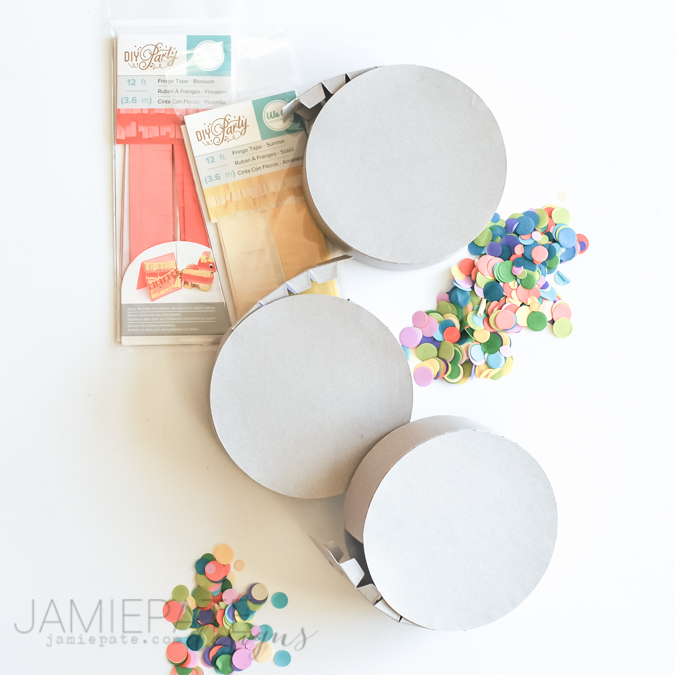 Part of the DIY collection includes Fringe Tape to decorate the various shapes. I had my way with the Circle Piñata. Follow along as I show you a bit how my version came together. 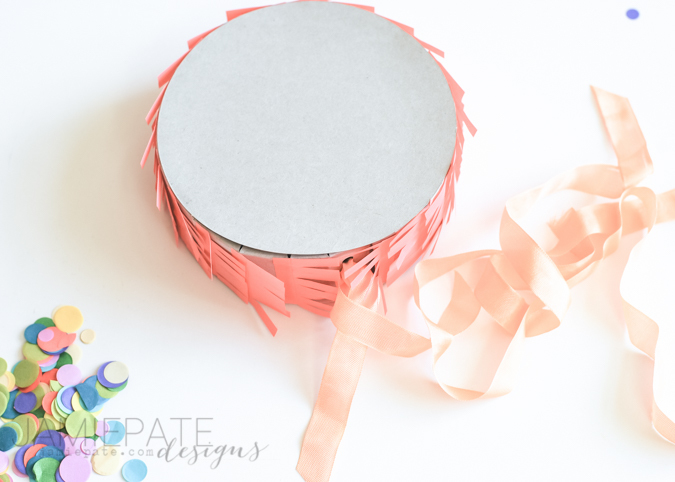 First I took the Fringe Tape and added to the edge of the Circle Piñata. 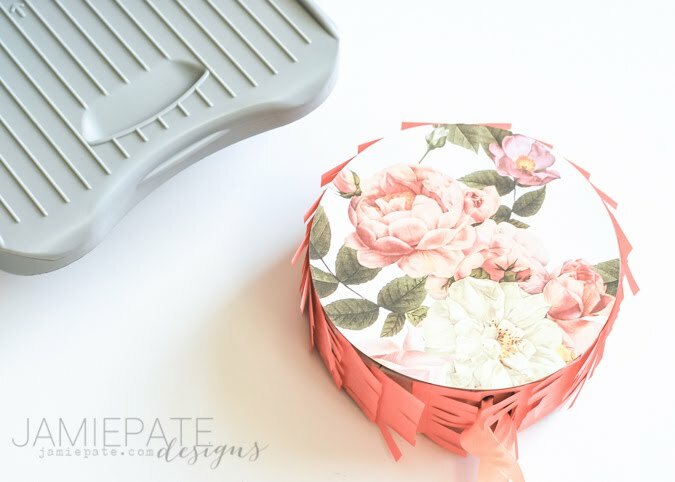 This is super easy as the tape has adhesive on the back. Just measure the desired width, and adhere to the chipboard. The 'bottom' of the piñata shape has an opening. This is where one would traditionally pull the piñata open and have endless candy pour out. I added seam binding to this section making it easy to open. For the front, I could have continued with the fringe tape, but instead decided to use pattern paper that coordinated with the tape. Here I used a piece of the Heidi Swapp Hello Gorgeous pattern paper. It's just so girlie and sweet, which is exactly what I was going for. 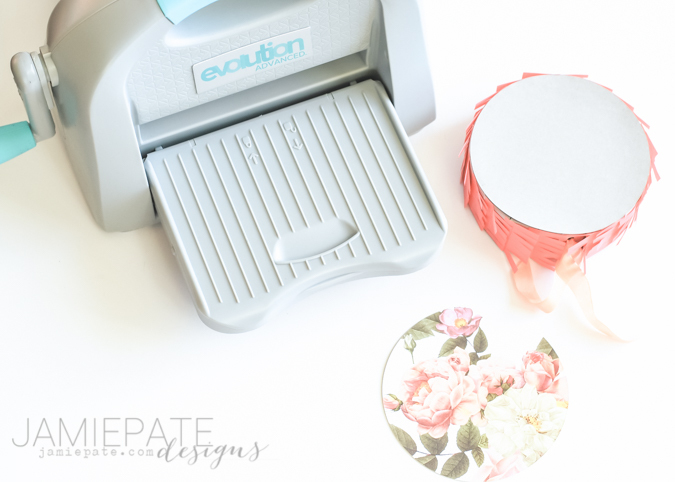 I used a circle die and the WeRMemoryKeepers Evolution to cut the paper to size. My adhesive of choice is hot glue. Like almost always. After the cover was done, I took to 'junque' the rest of the embellishments in place. 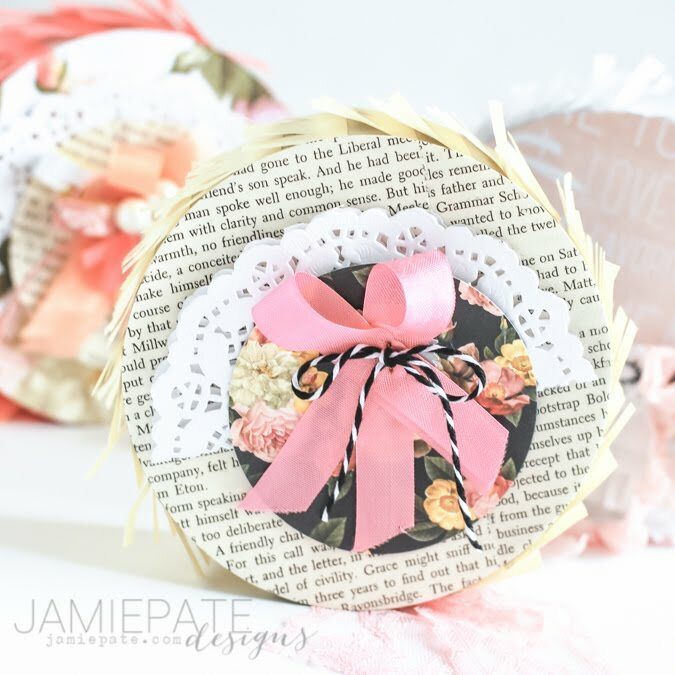 Here I layered a doily, book paper (cut in a circle), a 'junque' bow of twine and seam binding. Hot glued it all in place. And now...instead of a party, I have some special plans for my daughters, which I just so happen to have three of them. I will be filling these with notes and smallish gifts. One of my 2016 NewYear plans is to have mom and daughter retreats once a quarter. And the first one will be full of fun challenges and words from me, all found in their individual piñata. I just figured it would be a way to really get their attention. The other two piñata are similar in design, but different. You are following that, right? Here, instead of a circle, I fringed the bottom half of the shape, and then added half a circle of pattern paper to the top. Trim and bows finished it off. Visit WeRMemoryKeepers for even more amazing ideas. 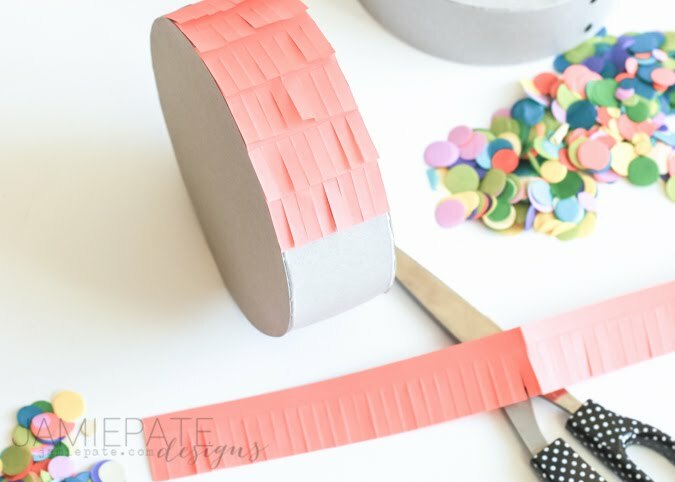 Pick up a few of these DIY Party favors, and have a party, or create a gift for a daughter or friend. Jamie, you are killing me. I was asked to do the table decor for a Women's group's 8th grade dinner and these are so inspiring but I cannot purchase the pinatas anywhere. Everyone is sold out. Love these so much. 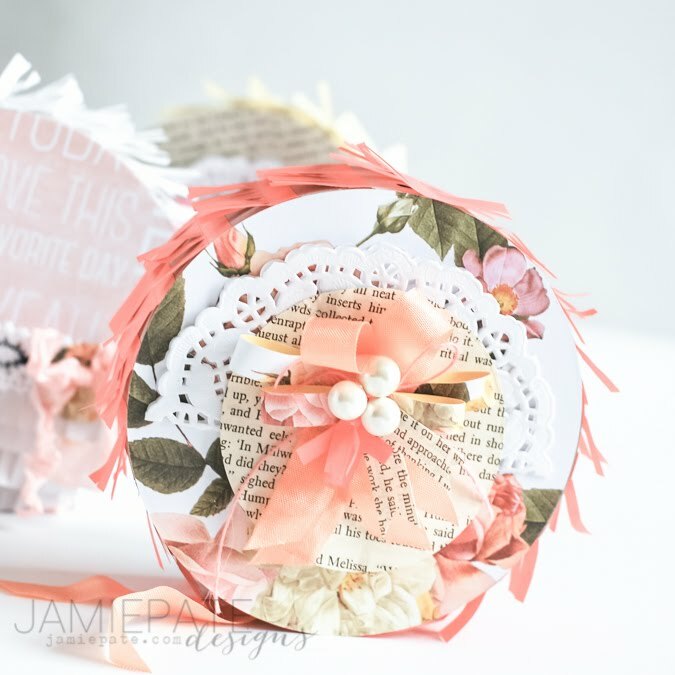 So dainty and girly and beautiful.